February 5 marks the beginning of the Year of the Pig – the last Zodiac sign in the Chinese lunar calendar’s twelve-year cycle. China may be more than five thousand kilometers away from Russia’s capital, but you can still immerse yourself in Chinese culture and celebrate. Not managed to live up to your New Year’s resolution? Chinese New Year gives you a third chance to succeed. To help you towards your goal, Moscow’s Chinese Cultural Center offers classes in Chinese cooking, calligraphy, and language. If you want to find out more about pricing and timetables, visit their site. 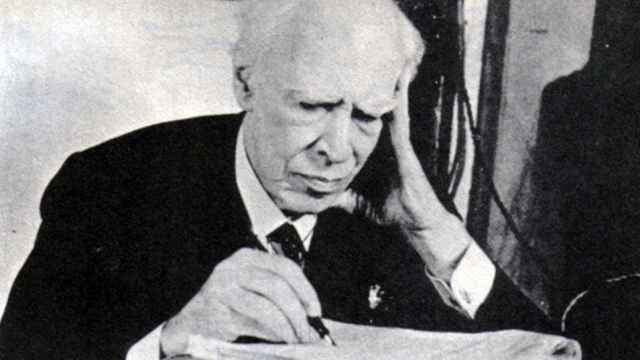 The website and classes are in Russian. 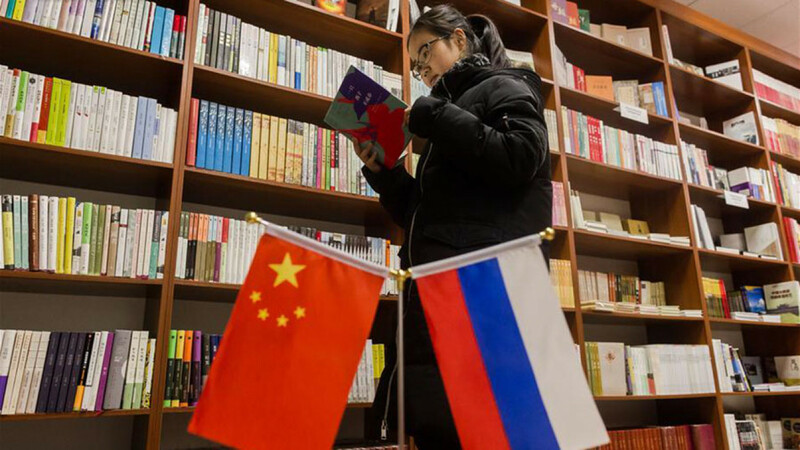 The name of the bookstore Shans Boku is a combination of Russian and Mandarin, and both words mean ‘luck.’ About 80 percent of the books are in Mandarin, and the rest are Russian translations of Chinese works. If neither language is your forte, Shans Boku also offers a range of Chinese-themed gifts from calligraphy-decorated notebooks to delicate fans. Completed in 1955, the hotel was named to honor the friendship between the People’s Republic of China and the U.S.S.R. Its luxurious interior décor is Chinese-inspired, featuring swathes of silk and scenes from the life of the Chinese nobility. 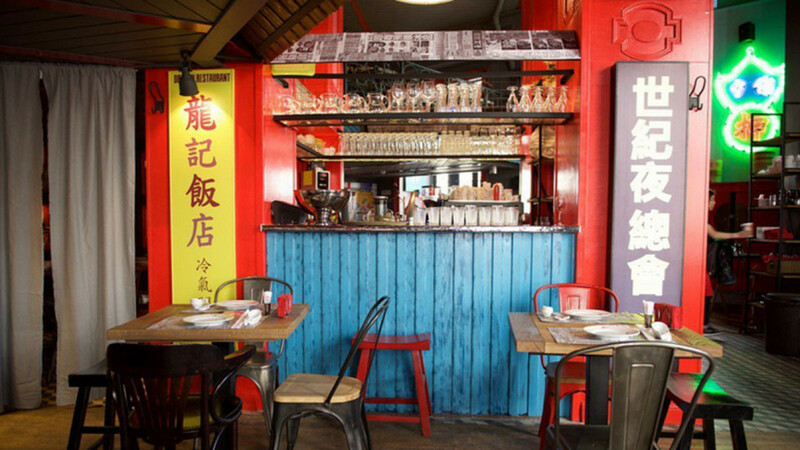 Run by Harbin native Chef Wang and an all-Chinese team, Harbin (or ‘Kharbin’ as it is pronounced in Russian) is an authentic Chinese restaurant serving primarily northern cuisine. Frequented by as many – if not more – Chinese than Russians, Harbin should be on your list for a culinary celebration of the Year of the Pig. 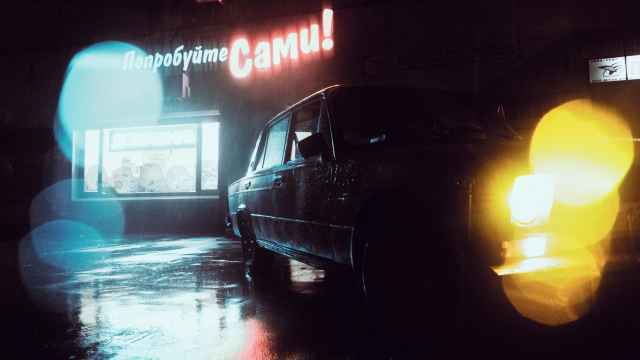 Chinese News (Kitayskiye Novosti) is a relatively new, hip, restaurant chain run by life-long China enthusiast Stanislav Lisichenko. Throughout February, he’s rolling out a Chinese New Year menu featuring dishes such as sweet and sour carp and Sichuan beef. There will also be special fortune cookies containing wishes for the new year. See site for addresses and information about celebrations. Tucked away behind the Pushkin Museum is the Volkhonka Mansion. This unassuming pale yellow building once housed the assembly hall of the Sun Yat-sen Communist University of the Toilers of China. In May 1927, Stalin himself appeared there to speak to an audience of young Kuomintang and Chinese Communist Party members. Unfortunately, the building is now a private events space so the public cannot enter – but the outside is worth a look for any Chinese or Russian history buff. 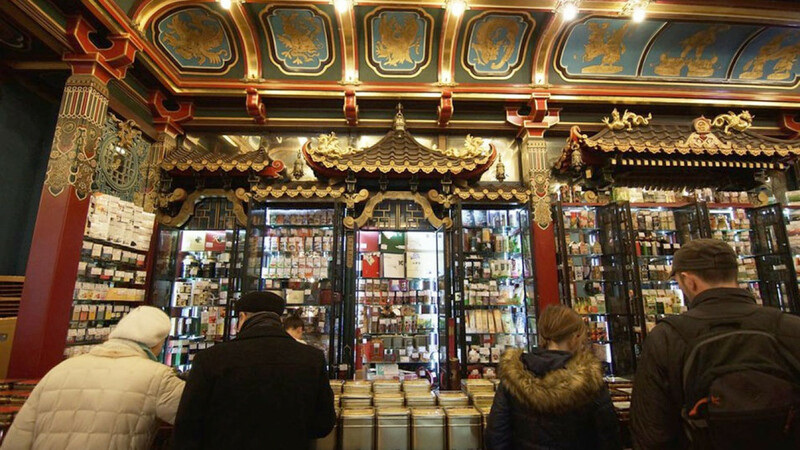 The shop’s fantastical Chinese-inspired exterior dates back to 1896 when Russian tea merchant Sergei Perlov transformed his tea-house in an attempt to woo a visiting Chinese merchant to negotiate tea delivery contract. Today, the shop sells tea and coffee from all over the world. Not quite ‘authentic,’ but still worth a visit. To coincide with Chinese New Year, the State Museum of Oriental Art is holding an exhibition entitled ‘The Eastern Calendar’ in which they will exhibit colorful graphic works by contemporary Taiwanese artists featuring the twelve zodiac animals. Further information on the exhibition in Russian can be found here. 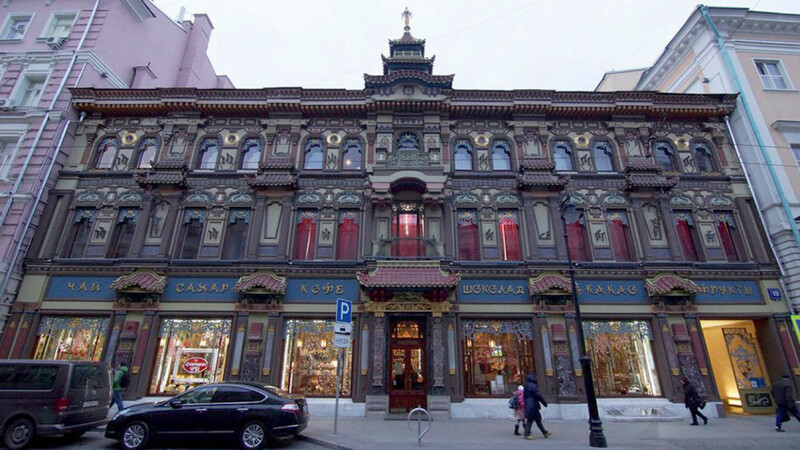 Despite the name, the Russian National Museum of Music houses an extensive collection of Chinese instruments, such as the sheng – a mouth-blown pipe organ – dating from the first millennium BC. As the Lunar New Year approaches, it’s the ideal time to bone up on your Chinese musical history.